Made in the heart of the Bas Armagnac region, The quite complex bouquet is fairly rustic in style: liquorice, trodden grass, pepper and coffee. The alcohol is perfectly integrated in the mouth and you will perceive all the mellowness of this handsome product. 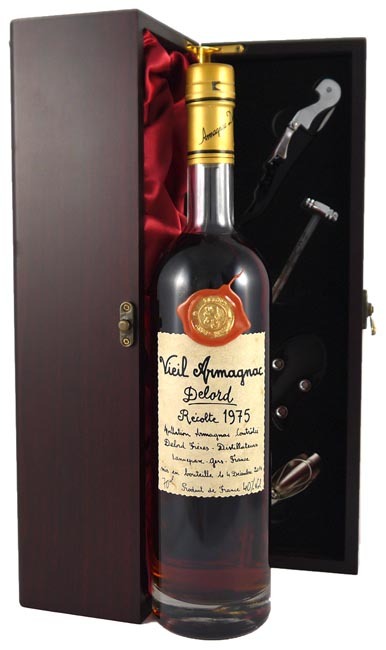 The aromas on the palate: pepper, rancio.This wonderful armagnac makes an ideal gift for someone born in 1975.